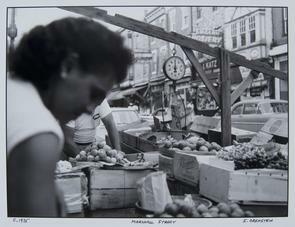 Fruit stand and scales in outdoor market. Woman (out of focus) in foreground, obscures man working. View of Marshall Street business in background.